Weeknights around my house are always hectic. There never seems to be a night where everyone in the family is at home the entire time. 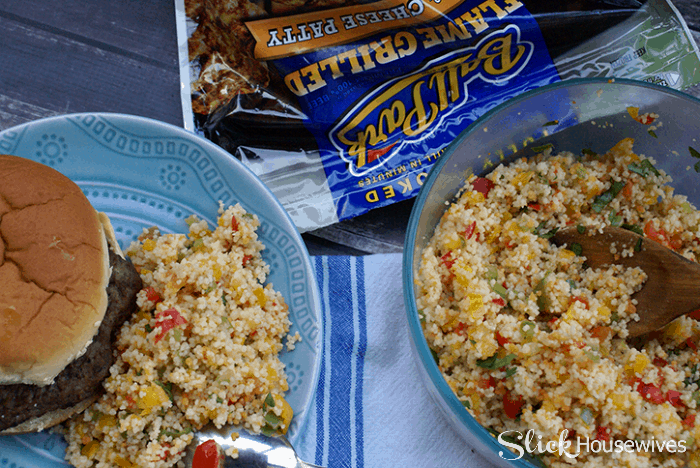 One rule that we stick to most of the time is to always have a “sit-down” dinner together. My kids have sports several nights a week and my husband has rugby practices. Usually we have an hour or so between school and work to get everyone fed and out the door to their extracurricular activities. My husband is a big, muscle guy who needs a lot of food, particularly full of meat and I am not talking about some skimpy cold cuts or some messy sloppy joes. On the nights he has rugby, I need to get him fed something fast and substantial to fuel his extremely taxing rugby practice. Nothing gets him more energized than a delicious burger! Thank goodness I found these Ball Park® Flame Grilled Patties at Publix. I can “pop” these in the microwave and in minutes deliver a burger full of flame-grilled goodness. My husband loves them! He has no idea that they came from the microwave. It’s nice to give my man the kind of food guys like to eat and not have to stand outside in front of a grill with hot flames making me sweat. 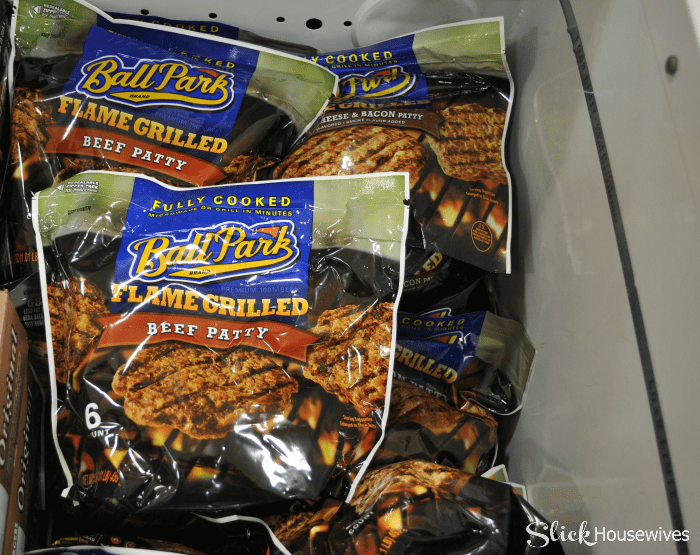 I picked up these Ball Park® Flame Grilled Patties Originals at Publix in the freezer section at the end of the aisle. 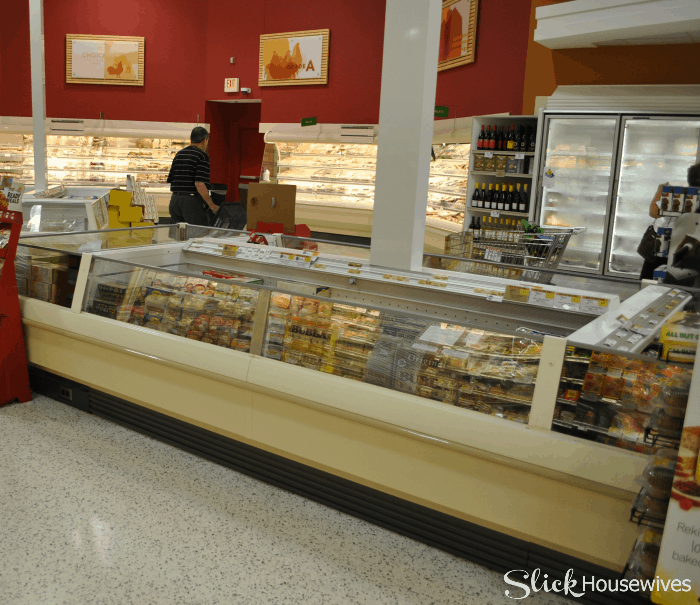 They are available in 7 different varieties, beef, turkey and chicken varieties, including the new Hickory Smoked Bacon & White Cheddar Chicken Patties. We can’t wait to try them all! 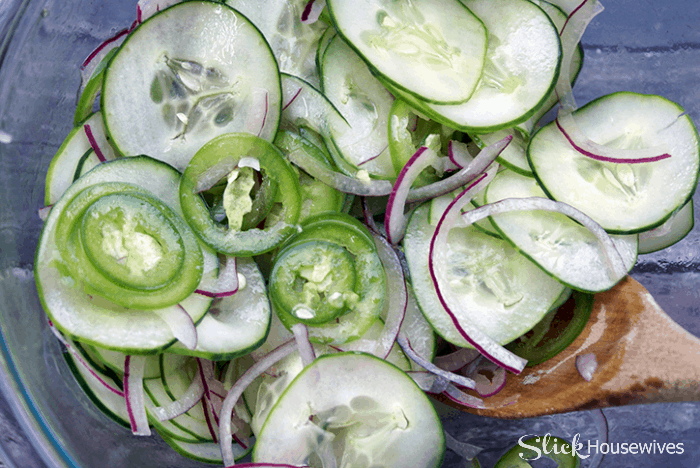 For this, you will need to use a mandolin slicer…or be really good at cutting very very thin. You need to cut off the end of the cucumber, and and slice on the mandolin until you reach the nub end…and then throw the nub away. 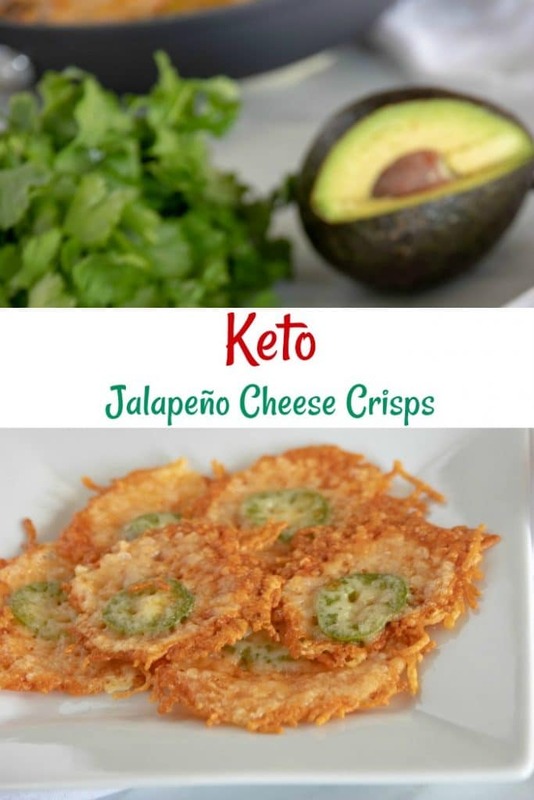 Repeat the process with the jalapeno. Chop the tip of red onion off and peel off outer skin, and the slice on the mandolin. Once fully sliced, cut onions into quarters to create smaller pieces. Place all sliced pieces into a medium sized bowl. Pour apple cider vinegar and extra virgin olive oil on top, and then stir all ingredients together.Cover bowl with plastic wrap, and place in the fridge for 30 minutes. Stir the ingredients again, and place back for additional 30 minutes. 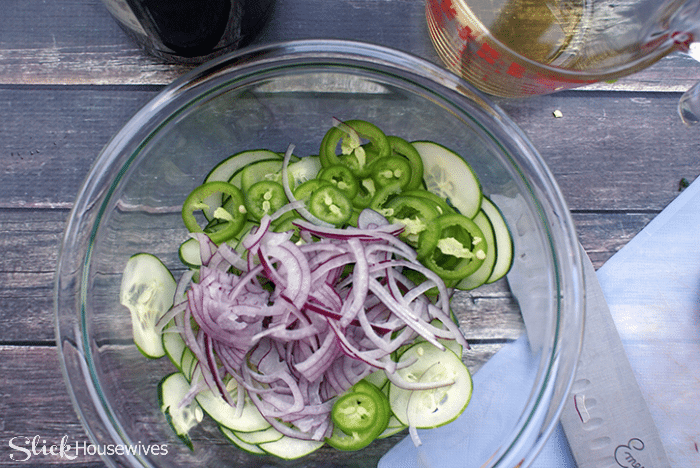 You are now ready to use this Jalapeno Relish Recipe as one of your newest & favorite toppings! 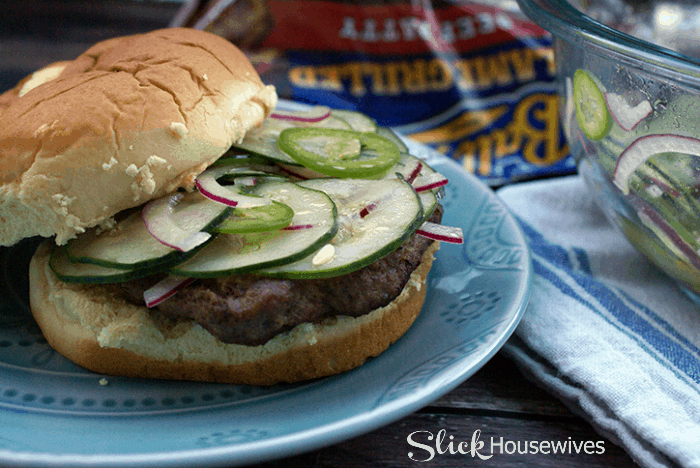 The left-over Jalapeno Relish is great to use later in the week on top of your favorite Ball Park® Patties. 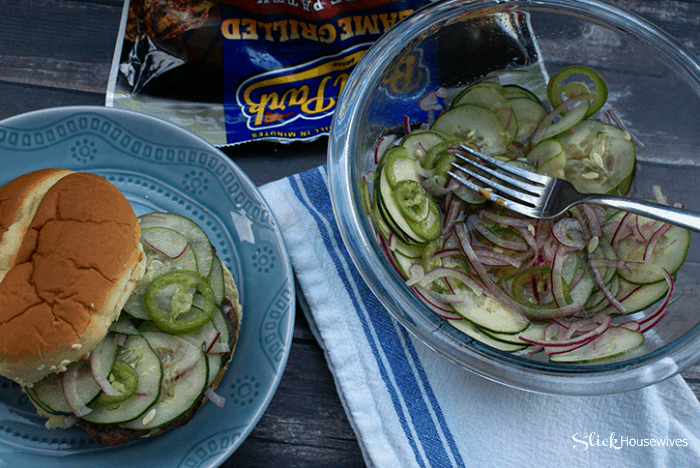 It’s so great that with Ball Park® Flame Grilled Patties, you don’t have to sacrifice taste to save time. 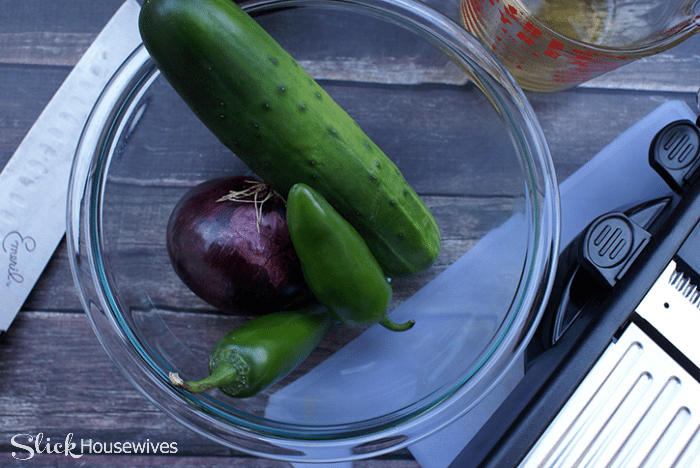 What would you do if dinner didn’t take so long to prepare? Want to enter the Ball Park® Hall of Flame Sweepstakes for a chance to win some awesome prizes? Do you have the stuff to get your name in the Hall of Flame? You could win up to a $1000 in prizes! Head over to the Ball Park® Hall of Flame Sweepstakes page to enter. Upload a photo of yourself and customize it with the cool Hall Of Flame filters and you are entered to win. For this, you will need to use a mandolin slicer...or be really food at cutting very very thin. Cut off the end of the cucumber, and and slice on the mandolin until you reach the nub end...and then throw the nub away. Cut off the tip of the jalapeÃ±o, and slice on the mandolin until the end. Chop tip of red onion off and peel off outer skin, and the slice on the mandolin. Once fully sliced, cut onions into quarters to create smaller pieces. Place all sliced pieces into a medium sized bowl. Pour apple cider vinegar and extra virgin olive oil on top, and then stir all ingredients together. Cover bowl with plastic wrap, and place in the fridge for 30 minutes. Stir the ingredients again, and place back for additional 30 minutes. You are now ready to use as one of your newest & favorite toppings!